When it comes to why children go A.W.O.L. 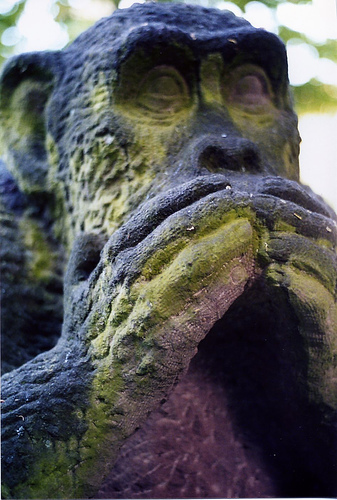 in the hospital, however, researchers say we want to look a little closer to home. 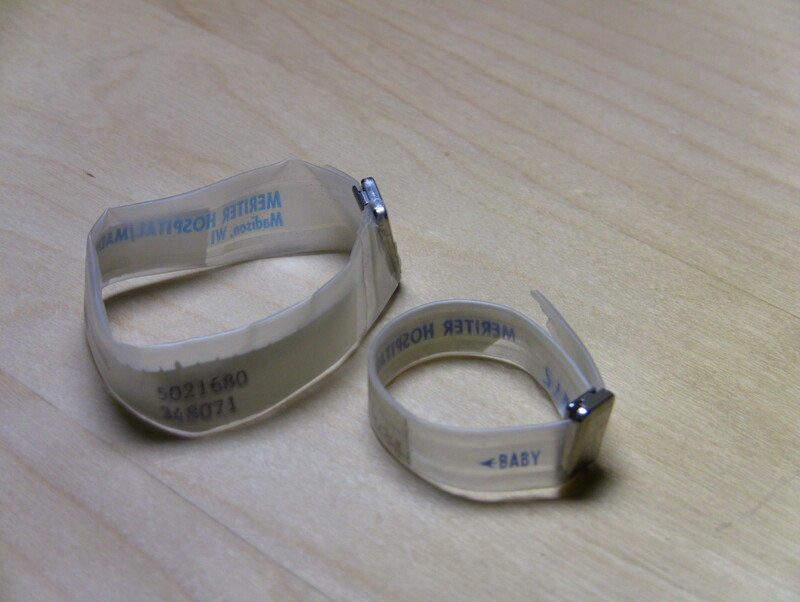 It turns out that some parents are taking off the ID bands used to keep track of their child in the hospital. A learning collaborative of six hospitals found that the overwhelming (90%) reason for pediatric ID band failure was that the band was simply not in place. The most frequent reasons were that it fell off, was taken off by the parent or the patient, or was put on another object such as a crib, Dr. Shannon Phillips and her co-authors reported at Pediatric Hospital Medicine 2011. 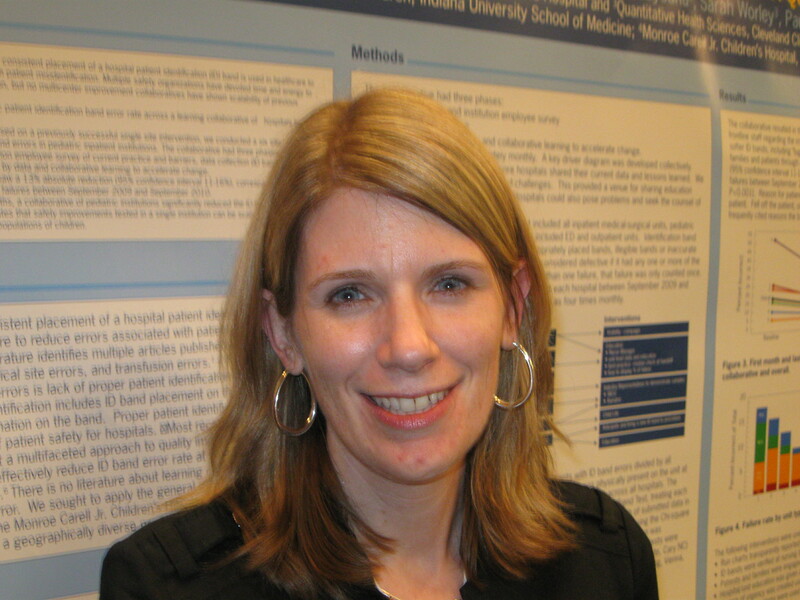 In addition to family/patient education, the collaborative staged other interventions including educating front-line staff on the importance of correct ID bands as a safety strategy; conducting audits, often by night nursing administrators; and changing to softer ID bands, including luggage tag-type bands in some NICUs. Post-intervention, the collaborative saw a 13% absolute reduction, corresponding to a 77% relative reduction, in pediatric band failures between September 2009 and September 2010. 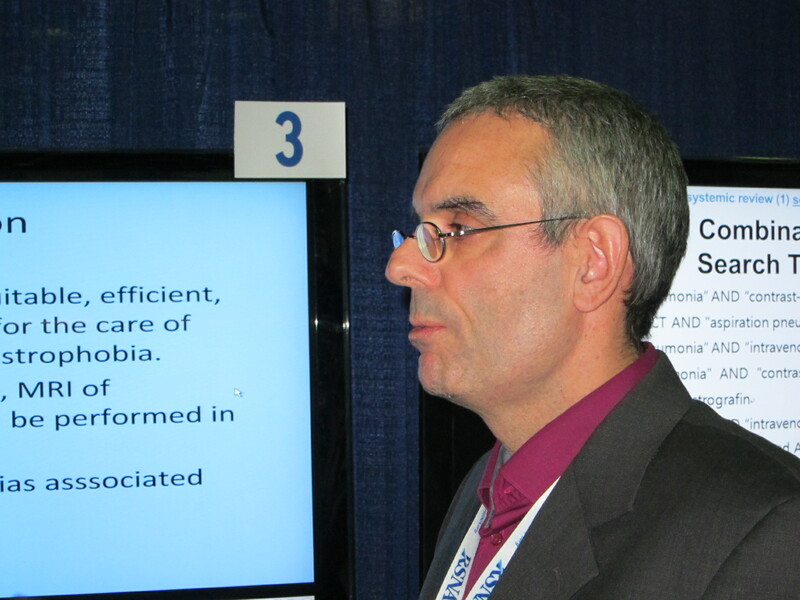 Their goal had been to reduce errors across the collaborative by 50% in 12 months. The keys to sustaining this kind of success? “The lessons learned are having leadership be involved, having continuous audits, and just doing education every time you catch something,” she said. Each afternoon, the sound of bagpipes drifted through Chicago’s McCormick Place during this year’s Digestive Disease Week. 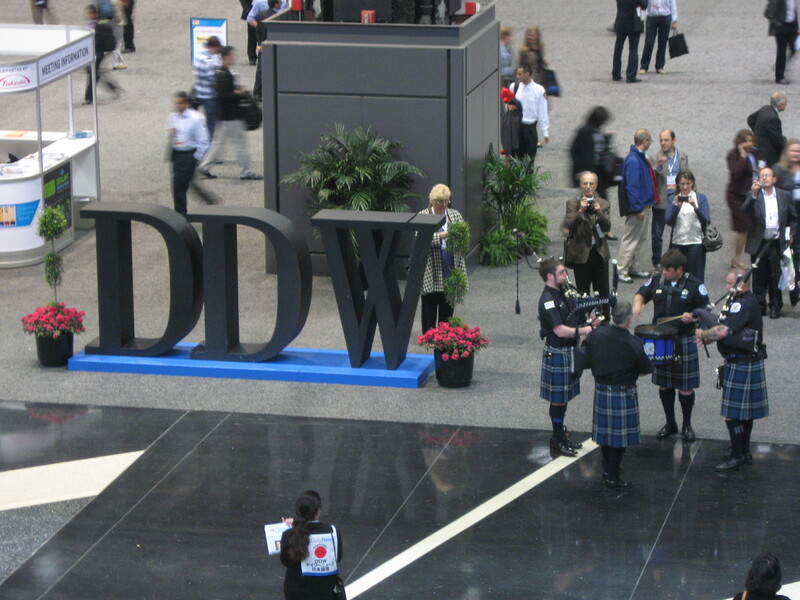 The idea was for the Chicago Police Department’s Pipes & Drums to serve as “pied pipers” to draw attention to the daily drawings for everything from a brand new Kindle to a free pass to next year’s DDW plus hotel accommodations, explained Rose Horcher, vice president of client services for the Chicago Convention and Tourism Bureau . Since attendees had to get stickers from 10 different exhibitors before they could put their entry into the giant gold raffle drum, it seemed to have a lot more to do with drumming up exhibit attendance, but I won’t quibble. Some attendees struck a more patriotic note, requesting the National Anthem in honor of Team Six. Even jaded reporters were heard asking about the mysterious, midafternoon melodies. As the meeting wore on, I couldn’t help but wish for a little assistance from the boys in blue in tracking down which of the very same exhibitors had a hand in the cutting-edge research I was hearing. Meeting policy required that financial relationships for all individuals with the ability to affect the content of an educational activity be disclosed to the audience. I may have been the second to last kid in third grade to learn to tell time properly, but 6 seconds, it was not. Blink and those disclosures were gone. Even more worrisome was that many of the presentations simply stated that while the lead author had no disclosures, the coauthors did. You just weren’t told what they were. Any journalist worth their salt did just that, but what about the attendees? Are they really going to go back home and dig up the disclosures before sharing what they’ve learned with their colleagues? The online resource certainly doesn’t make it easy. 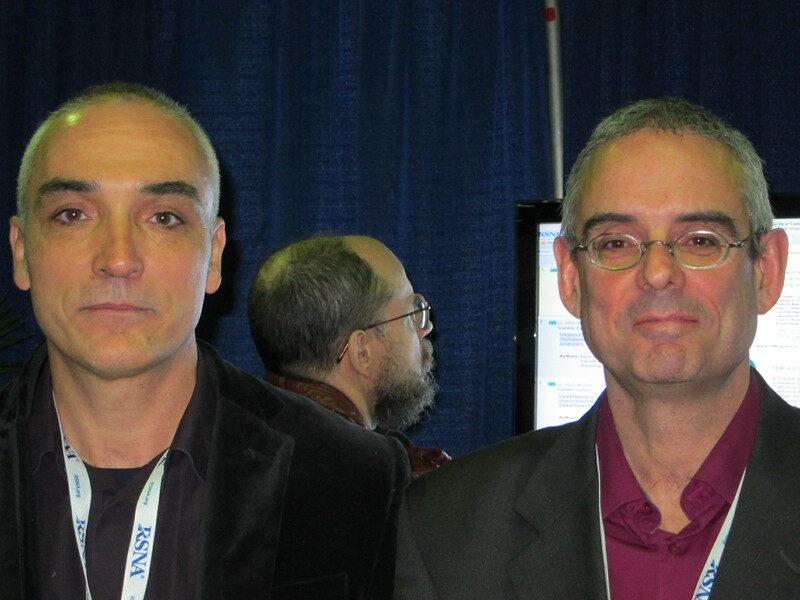 Coauthors have to be looked up individually by their last names since no single search by abstract number is possible. Disclosing relevant financial relationships up front provides context for the potentially practice-changing data the physicians are about to hear. If an author or coauthor is an employee or board member of the study sponsor, the physician should know that. If the analyses were conducted by the device or drugmaker, that should be out there, too. 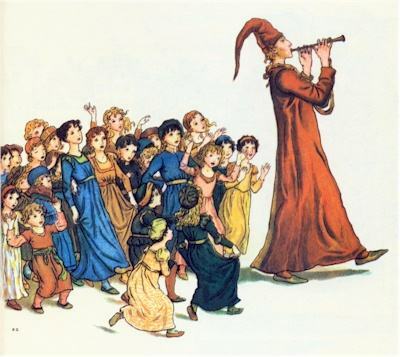 Without it, the Pied Piper has a much better chance of leading us astray. 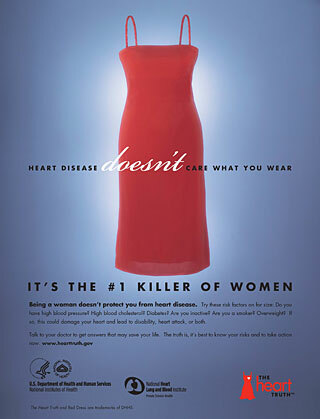 The Red Dress Campaign has caught women’s attention regarding the very real dangers of cardiovascular disease, but a new study shows they may not be taking the message to heart. The study, presented at the recent American College of Cardiology meeting, found that the overall incidence of acute MI decreased among 315,246 patients admitted to New Jersey hospitals 1986-2007. The decrease was significant among both men and women, but was more prominent among men. 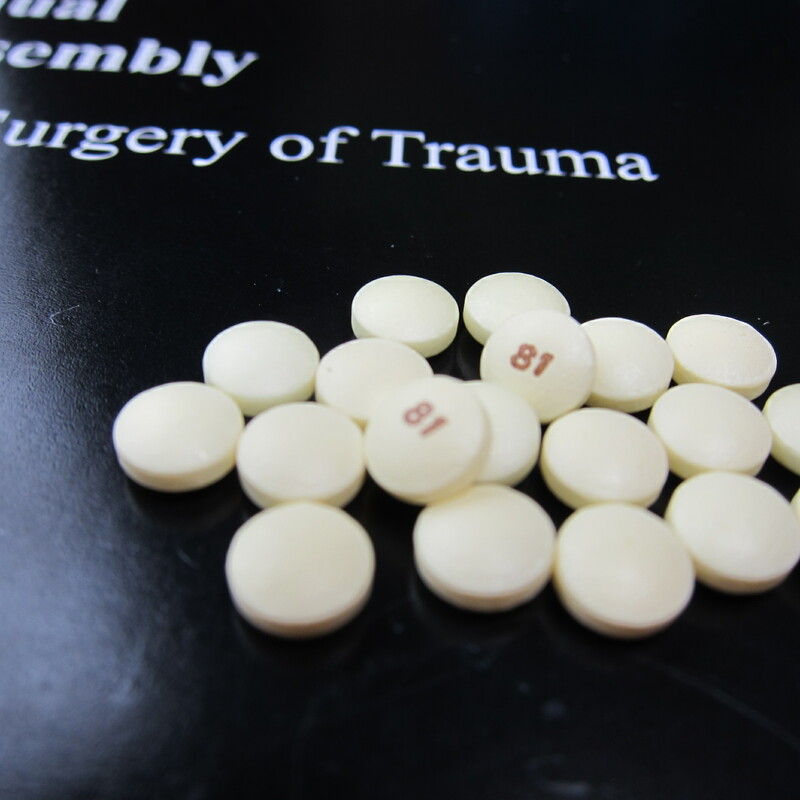 The incidence of acute MI fell from 598 to 311 per 100,000 men and from 321 to 197 per 100,000 women, according to cardiologist Dr. Liliana Cohen and her colleagues at the Robert Wood Johnson Medical School in New Brunswick, N.J. They also identified a growing gap in the rates of left heart catheterization and percutaneous coronary intervention between men and women. 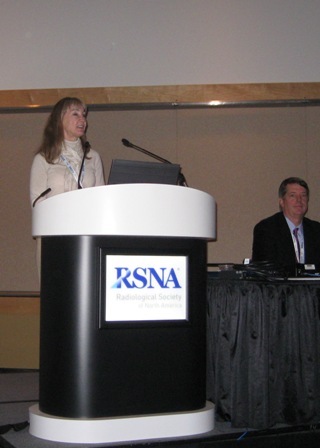 The rates of catheterization increased fivefold in women and threefold in men over the 22-year study period, but the likelihood of catheterization remained lower for women. Moreover, the difference among male and female cath patients going on to receive PCI increased from 2.2% in 1986 to 9.4% in 2007. 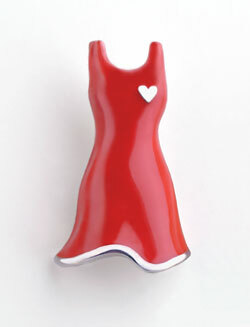 Finally, both in-hospital and 1-year mortality remained higher among women, and failed to show a significant decrease after 2002 – the year the National Heart Lung and Blood Institute launched the Red Dress campaign. “Although awareness of cardiovascular disease in women has increased in the general population, there has been much less translation of this into clinical practice,” Dr. Cohen told me. This may be due to women presenting later because they doubt an MI can happen to them or that physicians still are not treating women as aggressively as they treat men, she said. It also may relate to the fact that women have more difficult cardiac anatomy, so that once they receive cardiac cath, PCI remains difficult. Dr. Cohen suggests that in its next phase, the campaign needs to continue to focus on public health awareness, but also on research into how to translate public awareness into clinical practice by focusing on physicians and into newer techniques of PCI for the smaller blood vessels in women. Quibble if you will about the generalizability of data from a single state or the potential impact of a single PR campaign, but it’s hard to ignore these disappointing outcomes. I once heard a bold and blistering guest lecture at a cancer meeting by Nancy Goodman Brinker, founder and CEO of Susan G. Komen for the Cure, who told several thousand — mostly male — oncologists that a survival rate topping 90% for early stage breast cancer simply wasn’t good enough. Truer words were never spoken.